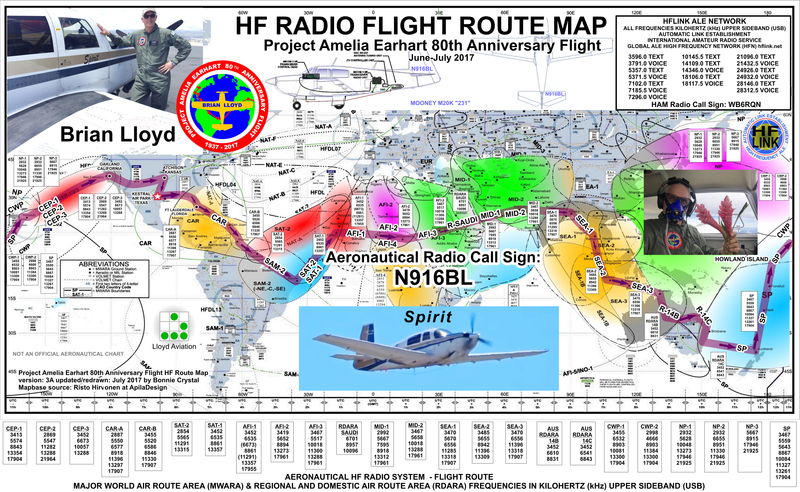 Project Amelia Earhart Recreating Amelia Earhart's around-the-world flight on its 80th anniversary. 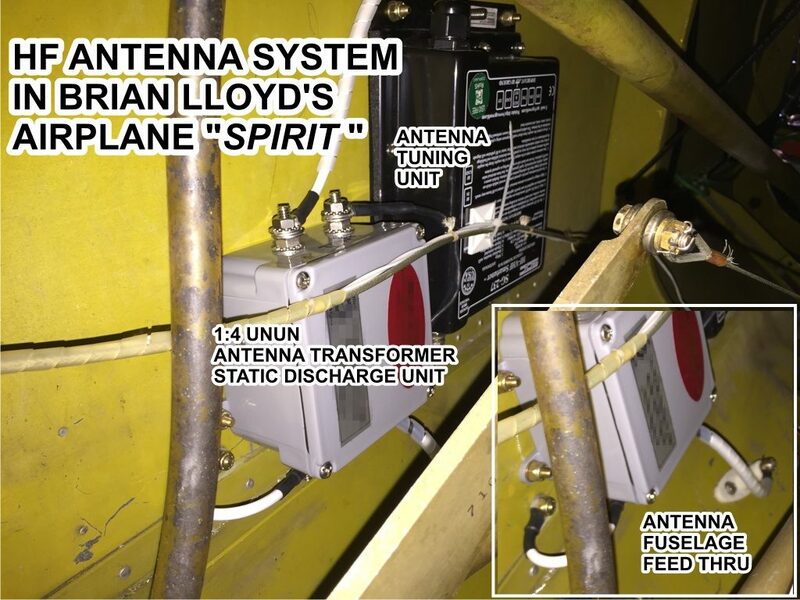 Brian Lloyd has a powerful radio system aboard the Spirit. 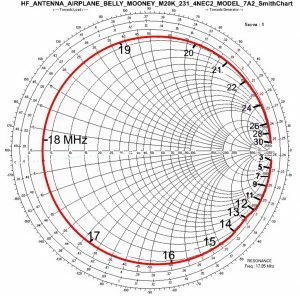 The radio communicates on High Frequency (HF) shortwave using Single Sideband (SSB), and anyone can tune in to these transmissions who has the proper type of radio receiver. 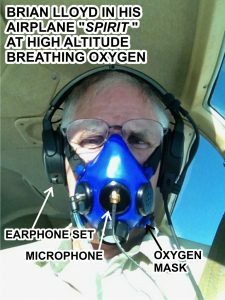 Listen for WB6RQN, that’s Brian’s Ham radio callsign. 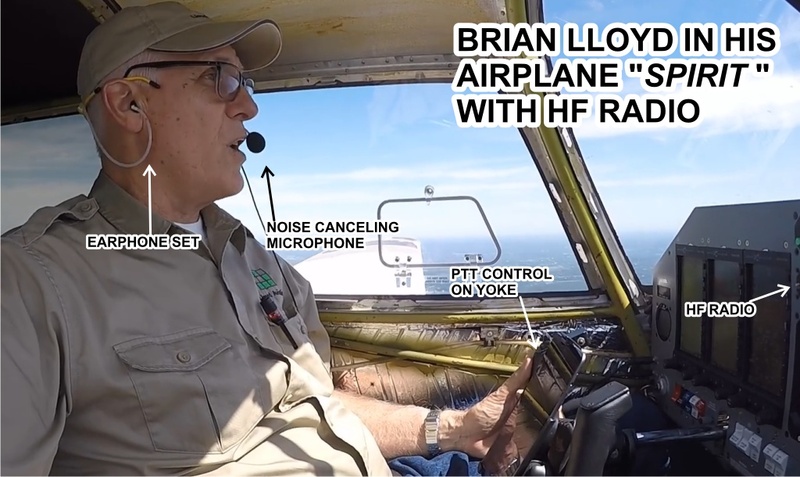 Ham radio operators around the world are invited to communicate with Brian while he is on the air in international airspace using the Ham bands. 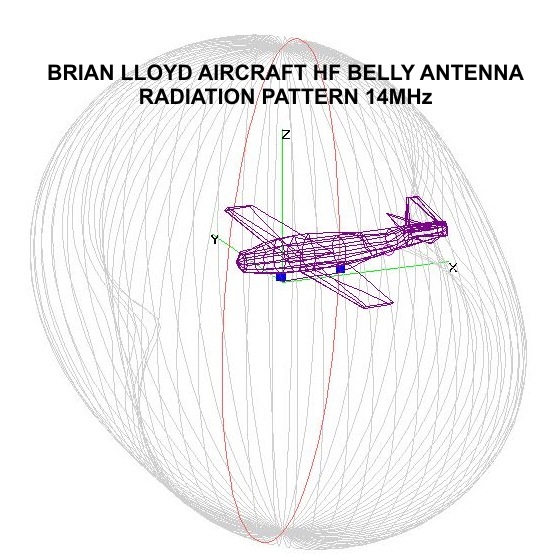 HF radio is dependent on ionospheric conditions to be heard over long distances, and it may change rapidly with the space weather or other factors. 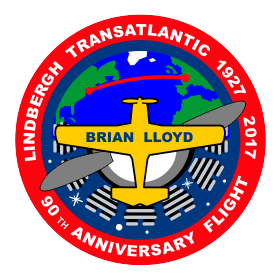 Note: All dates and flight locations are approximate and tentative. Please see the Live Tracking Map for actual locations and flight movements. Listen to The RAIN Report audio clip. 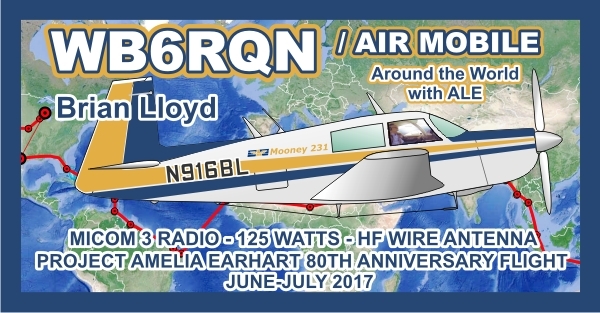 Listen to Audio: Brian WB6RQN / Aeronautical Mobile over the Atlantic Ocean near Venezuela, on Amateur Radio HF SSB frequency 14346.0 kHz USB, 3 June 2017. 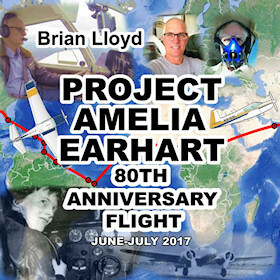 Talking with many ham radio operators in Europe, North America, South America, and Caribbean: 7 minute audio clip. 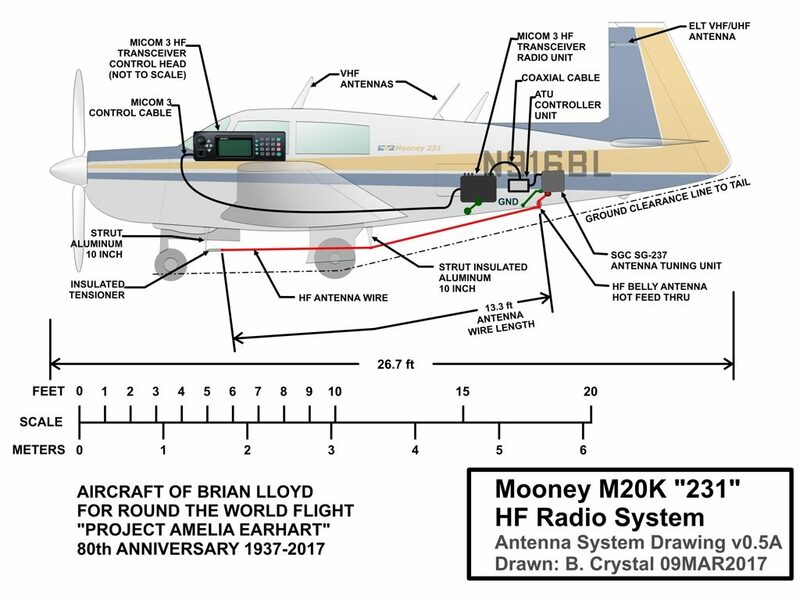 Listen to Audio: Brian WB6RQN / Aeronautical Mobile over the central Australian outback , on Amateur Radio HF SSB frequency 14346.0 kHz USB, 2 July 2017. Talking with ham radio operators in Australia: 8 minute audio clip. 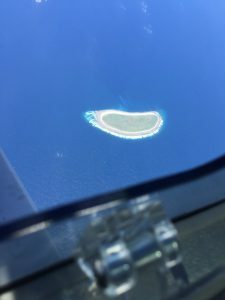 Ham QSO activity may occur at any time while the airplane is in International airspace, USA, or some other areas. Please be especially courteous and patient, because his first priority is to pilot the plane. Simplex or Split? Most of the time, WB6RQN will use simplex, listening and transmitting on the same HF frequency. But, sometimes Brian may ask calling stations to transmit “UP 5” split. When using UP 5 split, your transmit frequency must be exactly 5 kHz above WB6RQN. 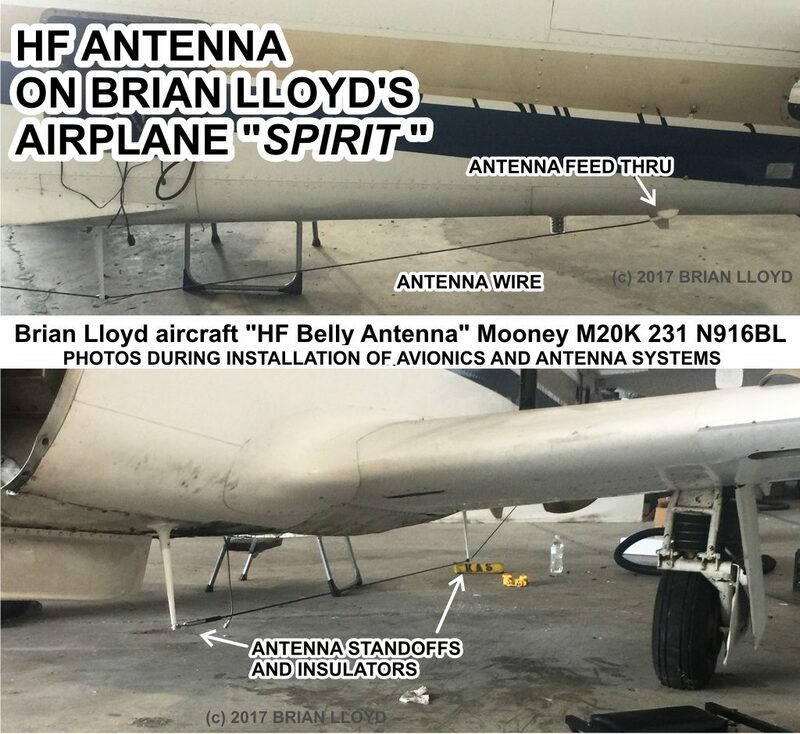 The plane’s HF radio is channelized, and it does not have an S-meter. 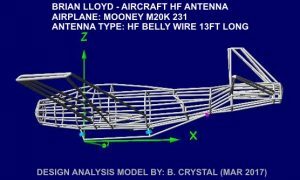 Activity using common Amateur Radio standard 2G-ALE Automatic Link Establishment may occur on the following scanned channels when Brian is not busy with flight operations. ALE activity may occur at any time while the airplane is in International airspace, USA, or some other areas. Whenever the ALE soundings of WB6RQN are heard, operators are invited to call on any one of these channels using an ALE Individual Call and link with WB6RQN. 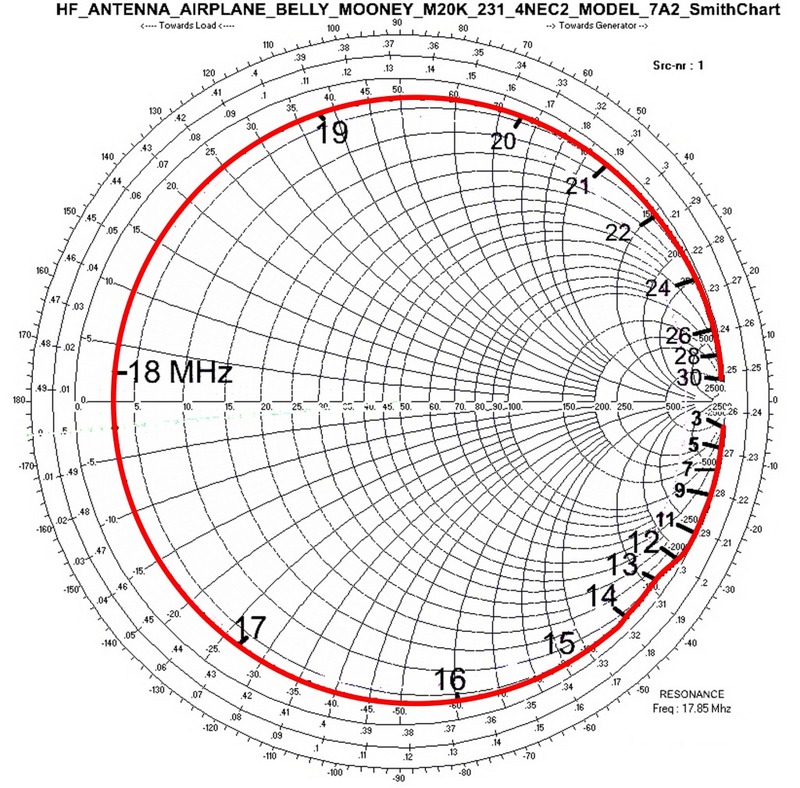 When linked on an ALE Voice channel, the preferred QSO method is Upper Sideband Voice. If a text is to be sent, use AMD and include the AMD text within the initial Individual Call. 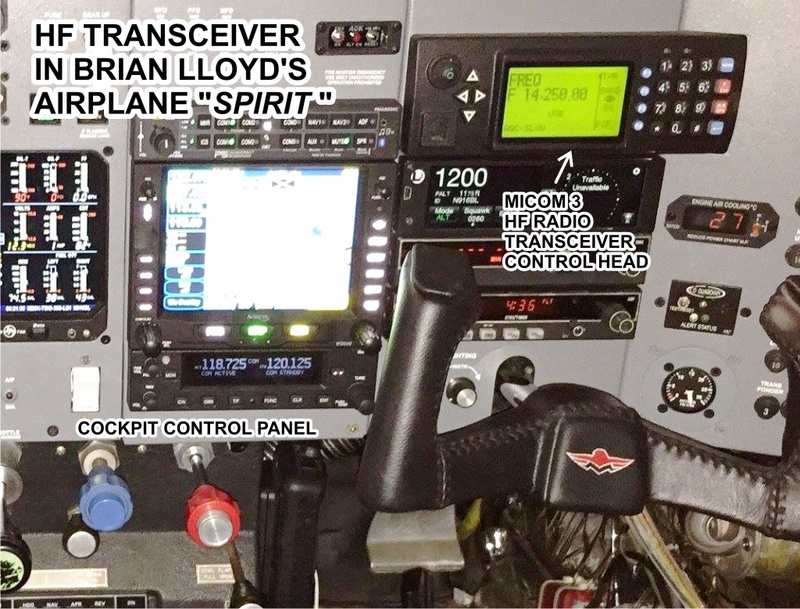 Do not expect a wordy text reply, because there is usually no QWERTY keyboard connected to the ALE radio in the cockpit. Anyone copying soundings, calling, or other types of reports is encouraged to post ALE reception logs on the HFLINK.NET website. 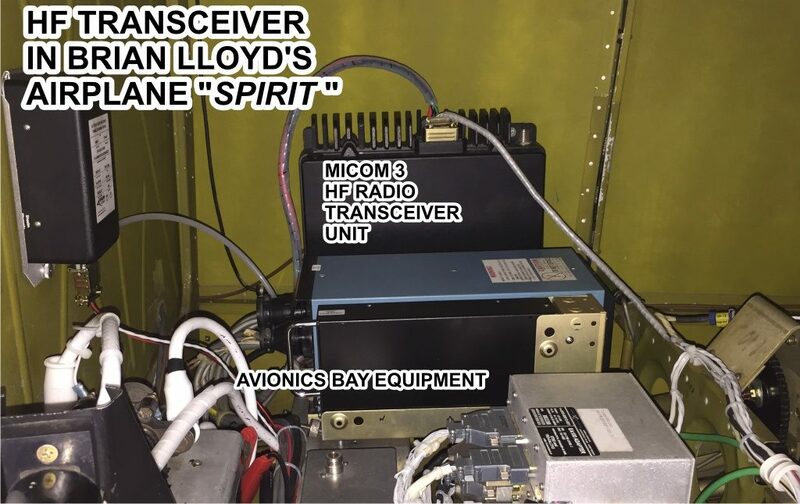 For SWLs (Shortwave Listeners) or UTEs (Utility Monitors), it is possible to listen to Spirit on the Air Traffic Control (ATC) HF Aeronautical frequencies with an SSB (Single Sideband) receiver. More information about listening to Spirit on HF Aero, click here. This TIGHAR paper documents details on 56 credible signals heard by radio operators and short wave listeners all over the Pacific, North America, and Australia, in the days following the Earhart 1937 flight’s failure to arrive at Howland Island. Some of the radio signals were heard on the main frequencies 3105 kHz and 6210 kHz; other signals were heard on the harmonics of these. 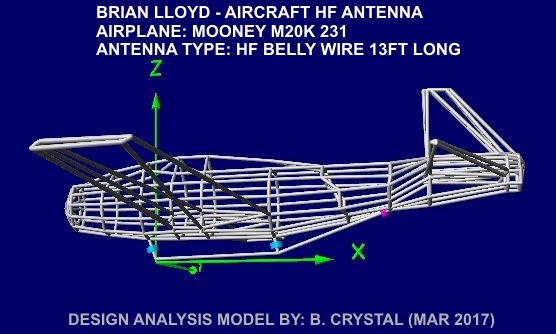 The transmitter utilized by the 1937 flight had substantial power output on the harmonic frequencies. 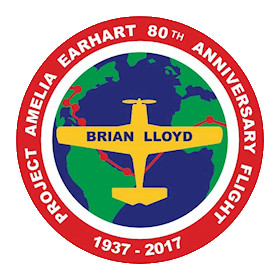 © 2019 Project Amelia Earhart. All Rights Reserved.